According to the US Food and Drug Administration (FDA), medication errors cause at least one death every day and injure over one million people in the US every year. Abundant research has been conducted into the causes of medication errors, and many simple, commonsense solutions have been found to prevent these needless errors and the injuries they cause. When doctors, nurses and hospitals fail to take these simple measures to prevent medication errors, they can and should be held liable for any injuries which result. The Tampa medication error lawyers at The Palmer Law Firm represent people who have been harmed by medication errors and fight to get them the compensation they deserve to deal with their medical costs, lost income, pain and suffering and other legal damages. At the very least medication errors may result in the patient not receiving proper treatment for a medical condition. At worst, a medication error may itself cause serious injury or even death. Some types of medications, such as insulin, opioids and anticoagulants, are known as high-alert medications because their misuse is more likely to cause serious injury or wrongful death. Of course, doctors, nurses and pharmacists should take care regarding any medication to prevent harmful mistakes. Nevertheless, medication errors occur frequently. Below are some of the most common mistakes made with medications. Doctors, nurses and pharmacists know full well the confusion that can be created from different drugs that are similarly-spelled or sound the same when spoken. Many simple strategies, such as using different lettering or verbally confirming a prescription, can prevent these common errors from causing patient harm. Unfortunately, patients may not know the cause if their condition worsens or if other symptoms appear. If you experience negative effects after taking a medication, talk to your doctor or pharmacist right away. If you suspect that an error occurred and need help figuring out what went wrong, talk to an experienced medical malpractice attorney who can help determine if a negligent medication error is the cause. 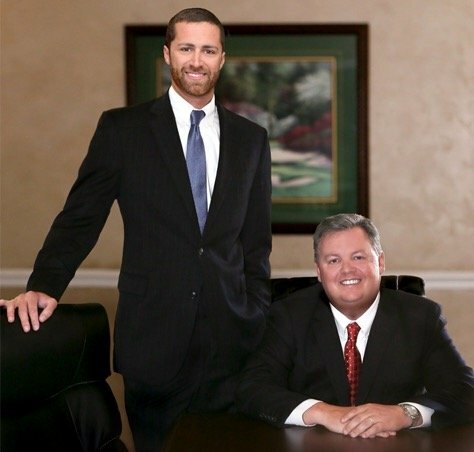 In Tampa, The Palmer Law Firm can help. When doctors, nurses, hospitals and pharmacies fail to take simple measures to prevent mistakes, serious harm is often the result. If you believe that you may have been harmed by a medication error in Tampa, call The Palmer Law Firm at 813-506-5651 for a free consultation with one of our Tampa medical malpractice lawyers. The attorneys at The Palmer Law Firm are devoted to helping victims of medical malpractice in Tampa recover a full and fair amount of compensation for the injuries done to them. We are not a high-volume legal practice interested in settling a case as quickly as possible in order to collect a fee and move on to the next case. We keep our list of active cases to a lower level, in order that we may provide the highest quality of legal service and attention to our clients that we possibly can.